Who wants to sit out in the cold waiting in line for the best in-store deals? I’m having flashbacks to growing up in Alaska, when it would often be 10F in November. We would take turns going to Starbucks for mochas to keep us energized and warm while waiting. Anyway, who wants to do that when you can sit in your pajamas, drinking wine at 4am, and shopping online for all the best deals? As travel bloggers, we are going to be looking for killer hosting and theme deals, tools, and gear to help us grow our blog and optimize our travels. So, we’re here to give you the low down on our biggest finds to save you a ton of money. The four admins here at FTB will wait around all year for some of these deals to come through and you do not want to miss them! This post contains affiliate links. FTB may receive monetary compensation at no additional cost to you. When you do your shopping on Black Friday please remember to use our affiliate links to support the maintenance of FTB. ** Please note that some of the 2018 deals are not yet announced and we gathered information based on 2017. Please bookmark this page, as we will be updating it with more information as it becomes known to us. This can be one of the more expensive things you pay for as a blogger, but not if you strategize properly. Host hopping can be exhausting and may actually cost you more money in the long run. The key is to grab the RIGHT hosting plan for you during Black Friday or Cyber Monday and invest in a long-term plan so those savings extend over the next few years. If you’re looking to self-host, or you’re unhappy with your current host, check out these awesome Black Friday deals for travel bloggers. SiteGround is arguably the best hosting for the middle range travel blogger who is serious about blogging and site speed, but is still growing their blog. I recommend this hosting option for people who enjoy sitting back and letting tech support help them in a time of need. SiteGround is the most popular hosting plan among FTB members for their easy to use user interface, friendly customer service, and great pricing plans for all levels of bloggers. 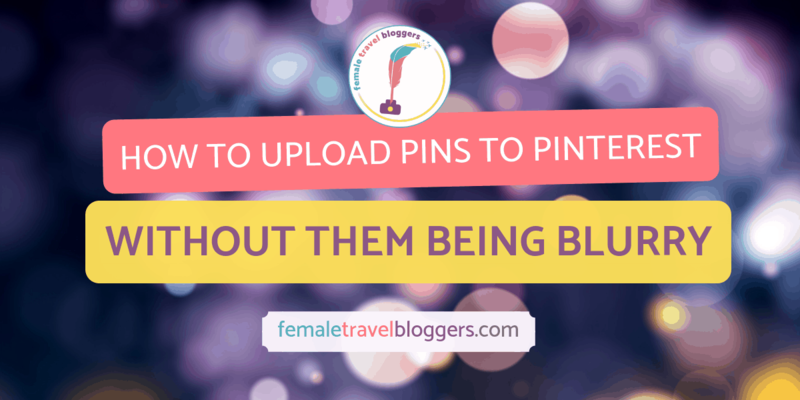 They have minimal downtime, so your blogging is never interrupted. Read more about why FTB thinks SiteGround is the best hosting option. We always recommend choosing the plan that allows for growth on your blog and will last you a few years if you’re serious about choosing them as your host. Their GrowBig plan is the most popular new plan. Most hosting options don’t extend their Black Friday sale to current members, so that is why I suggest investing long term. UPDATE: SiteGround just announced their 2018 deal. They will be offering 75% off all hosting plans. They have also introduced a new WordPress start to make it easier to build and start a WordPress site. BlueHost is one of the most popular hosting platforms in the world. They are a solid and reliable platform that is great for bloggers who want one of the best names in the business backing them. While their customer support is super helpful, I personally think BlueHost is ideal for a blogger that is a bit more technically savvy, as they have a lot of great DIY tutorials. I think the best part about BlueHost is all the amazing add-ons you get. I mean, just check them out! BlueHost is one of the more expensive hosting plans, so taking advantage of their best sale of the year, it a great way to get up to five years of hosting. They’ve also been known to refund any remaining time on your package if you decide you want to make a change. BlueHost offers 50% domains again this year so this is great for the first time travel blogger, who doesn’t have a domain or someone who is interested in buying up another domain for a project. We just got an email from BlueHost saying they promise this is going to be their BEST sale of the year! Bringing in the new year with a new theme is one of the best advantages you can give your blog for 2019. A new theme helps you take your blogging goals more seriously and put your best foot forward. Purchasing the right theme also allows you to boost your SEO and your site speed. Invest in yourself with these Black Friday deals on themes. Once you’ve purchased your theme, check out the Black Friday deals on blogging services for help implementing your theme. Elegant Themes’ Divi theme is hands down our favorite theme here at FTB. We have several admins who use it and yours truly is created with it. This responsive all-in-one builder allows for bloggers of all skill levels create a professional and unique travel blog that will set you aside from all the rest. It is a lifetime purchase and comes with updates. Elegant Themes have amazing support and there are several Facebook groups full of Divi lovers who are willing to help you out. In addition, they have a great affiliate program, so if you love your theme, you can make some money off it too. Elegant Themes promised to have their BEST deal ever this year, better than 2017. They also have thousands of giveaways, which are handed out as a first come first serve to anyone who purchases a license. While you wait for Black Friday to kick off, sign up to win a free desktop computer for your home office. Their Black Friday sale is great because an Elegant Themes license has so many components, like Divi, Extra, and various plugins. One of the things that makes Elegant Themes’ Divi theme so awesome is the fact it is fully customizable. In fact, the upcoming update (due to go live prior to Black Friday) will turn Divi from a page builder to a theme builder with every element of your website being accessible by Divi customiser. However as great as this can be, it can also be daunting when you first get started. 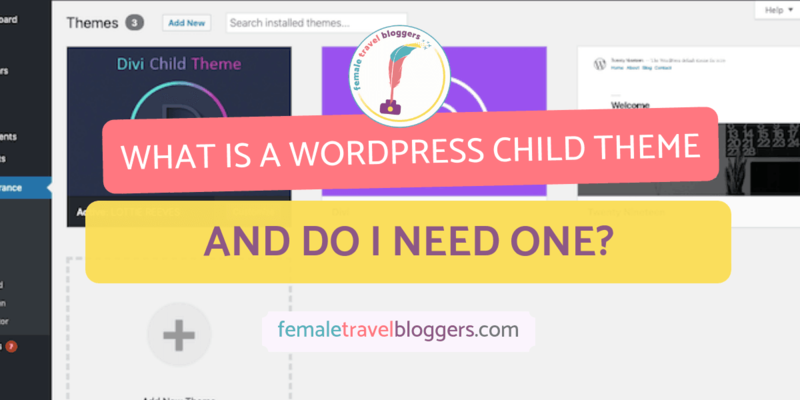 Rather than starting with a blank slate, Divi child themes enable you to protect your site from losing edits when the theme is updated and enable you to start with a layout that can just be tweaked to match your brand and style. There are literally thousands of child themes to choose from but here at FTB we love the ones created by Divi Lover. Genesis framework themes are the best themes for site speed and SEO. Recommended by former Google employee, Matt Cutts, and Yoast SEO you can’t go wrong with these fast, clean, and reliable themes. These are perfect for anyone who wants to leave some of the hard work to the experts while you focus on getting your message out there and blogging! They are backed by Genesis and always updated. The only downside is often these themes don’t allow for a lot of customization, and if you’re ready for a lot of customization and hands-on work to make your site reflect a bigger vision then we would recommend something like Divi instead. They’re celebrating Gutenburg and Black Friday with a November sale that lasts until the end of the month. Blogging tools and resources are those little things that are often cheap, but we put off buying them for some reason. I think it is scary to invest in your blog. These blogging tools will improve the performance of your blog and make your life exponentially easier to help you manage your time and invest it where it matters. WP Rocket is the single best site speed tool out there, and believe me, I’ve looked. Read about how this tool brought my site loading time under 3 seconds and a Google Page Speed Score in the high 80s. It replaces and outperforms plugins like Hummingbird, W3 Total Cache, and Autoptimize. It is easy to use, works to optimize Google Analytics, and runs with CloudFlare. If you are struggling with site speed this is the easiest and least invasive option. WP Rocket only has three deals a year, one at Halloween, one for Black Friday and one in July for their birthday. You can also get a snazzy 10% discount code if you sign up for their newsletter, but their Black Friday deal is supposed to be one of the biggest and best of the year. This year, 2018 they are starting early on Monday the 20th and will have discounts all week and into the weekend. Keep an eye on them as their deals may change through the week. KeySearch is one of the best and easiest to use keyword tools out there. Which means that you, yes you, can use this to step up your game. If you’re serious about SEO this is the tool to help take you to the next level. Look up keywords or phrases, find what the competition is, and how easy it is for you to rank. 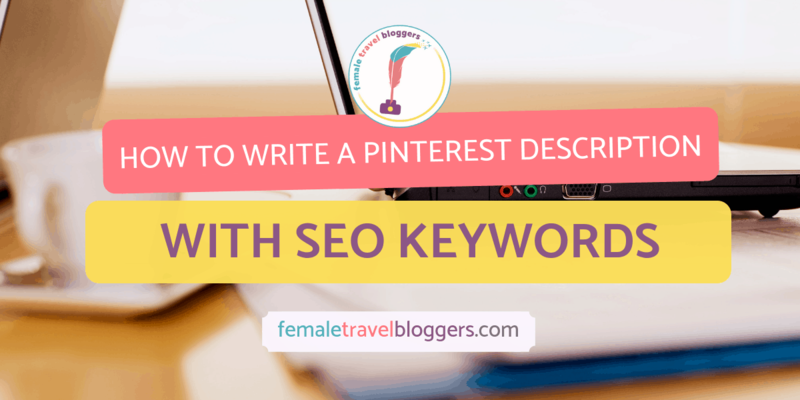 Creep on sites that are also ranking for that keyword and see how you can make your post better. You also have a list of alternative and secondary keywords or phrases you should consider using. Update: Keysearch has just announced their Black Friday deal. Social Warfare is my favorite sharing plugin. This is a lightweight plugin optimized for speed. It comes with tons of customization options and every blogger’s favorite feature of recovering any lost social share counts. 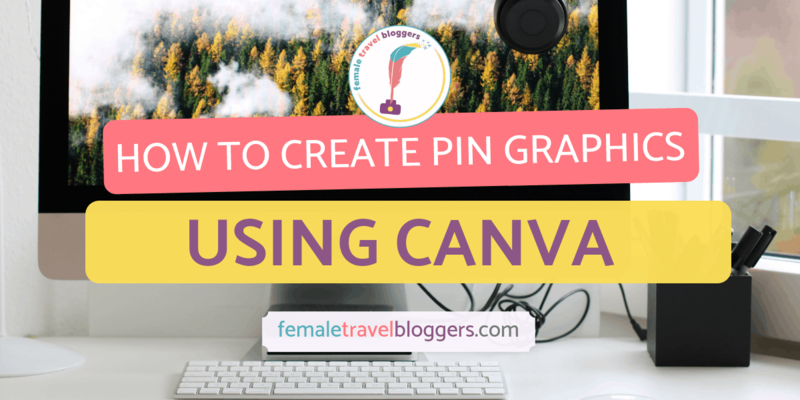 There are customizable pin options, click to tweet options and a customization feature for social images and meta description. I rarely see this plugin go on sale, so Black Friday is THE time to grab this deal. Grammarly is one of the best tools a blogger can use. It allows you to professionally edit your own content, learn your most common mistakes, and feel confident sending out those pitches. Online document backup. Access documents everywhere. ConvertKit is the best email marketing tool. If building your email list and expanding into email marketing is on your 2019 resolutions or blog goals then this is the tool for you. It isn’t a cheap option, that is why grabbing it during the Black Friday sale is so essential, but it is worth it for its advanced features. They offer a free trial, so sign up for it NOW to see how you feel about it. I’ll hand this one over to the experts, with a whole website dedicated to VPN deals on Black Friday. I use Private Internet Access and we’ve heard great things about Nord VPN. Possibly the most money you can spend during the year, courses are often expensive, but they are the best way to get insider information to improve your travel blog. Blogging courses help you step up your game, learn from other’s mistakes and learn the best ways to get things done. Don’t miss these killer deals on some of the best blogging courses in the industry. Gretchen at Eight Corners offers professional branding, rebranding, logo design, and marketing packages that fit your blog and let your personality shine. FTB recently used Gretchen for our rebranding process and we could not be happier. We left with a logo that truly fits FTB, branded colors, pin templates, graphic templates, and the entire experience was enjoyable. Gretchen listened to us every step of the way and was responsive to our needs. We can highly recommend Gretchen for a full rebranding experience, but she’s launching a new venture called the Brand Tour Expedition on December 8th and from now until then you can snag a Black Friday pre-launch deal. Receive a pre-sale price for $98 from Black Friday, Nov 23 – Cyber Monday, Nov 26. 4 days only. 5 Fun, Action-Packed Modules: Discover the 5-Step branding framework that shows you how to create a clear brand strategy, articulate your brand statement, and navigate brand refreshes as your brand grows. Playbooks, masterclasses & templates: to create your mood boards, brand style guidelines, and other marketing assets…without using costly & complicated design software. Access to a private online community: Connect with like-minded entrepreneurs who are also building and growing their brands and get feedback on your work. Bonus: Creative Confessions: A professional brand designer’s insider secrets on what it really takes to create branding that WOWs your ideal customers so they’ll want to be a part of it. Bonus Live Q&A Calls: Get guidance, ideas, and feedback from a pro designer so you get complete confidence when you DIY or outsource. A Dangerous Business, run by FTB member Amanda Williams, is offering two courses to jump-start your professional blogging career. The two courses offered this Black Friday are going to help you successfully pitch and become a blogger that brands want to work with and how to use affiliate marketing to drive traffic to your blog. The option of 2 courses to help you secure partnerships and up your affiliate game. Partnership Course: Pitch successful partnerships, secure sponsorships, execute campaigns, put together a media kit, identify brands to work with, and craft the perfect pitch to become a blogger that brands want to work with. Affiliate Course: Introduction to affiliate marketing for travel bloggers. Build a strategy, comply with regulations, grow your affiliate marketing and turn that into a stream of passive income. Discover ALL money-makingking strategies that will dramatically grow your income! Adventure in You, co-owned by FTB member Anna Faustino, is offering a killer deal on their Blogging Fast Lane Course. Adventure in You receives 500,000 page views per month and consistently makes six-figures a year from their blogging income. In this course, they share their secrets and the exact framework they use to generate a full-time income. This sale lasts the long weekend from Black Friday to Cyber Monday. Do not miss this deal! 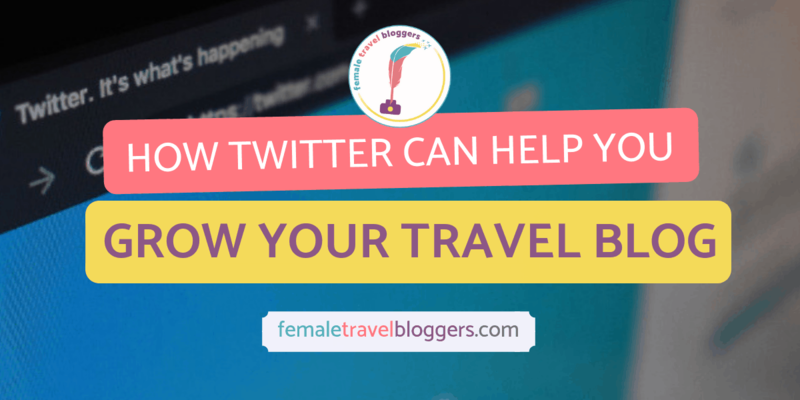 Jessie, the FTB member behind Jessie on a Journey, runs an online school for travel bloggers that includes a membership community, two core courses, and two step-by-step masterclasses. Jessie is a travel blogger who believes that there is room for everyone at the top and that you and reach the top if you’re willing to learn from her tried and true methods and change your strategy. The Black Friday deal is valid for November 14th and 26th. How to Grow Your Blogging Income Through Facebook Ads: Deal: $25.33 usually $149. How To Work With Brands & Make Money: $42.33, usually $249. Travel Blog Prosperity: Have a coach hold your hand every step of the way with an exclusive membership not usually open to the public. Choice of 2 step-by-step masterclasses, one on landing press trips and another on setting up profitable Facebook Ads. Experienced knowledge by an established professional travel blogger, Jessie. Diana Chen and half the FTB team behind The MVMT blog, has been able to secure $10,000 worth of travel in one-and-a-half years. Her new course, 90 Days to Traveling the World for Free as a Travel Blogger is a step by step guide that includes videos, PDFs, and templates to help you do the same. The deal starts Black Friday with serious discounts on Black Friday and Cyber Monday and smaller discounts until the end of the year. If you miss the deal, FTB members always receive $50 off. 5 videos, 5 PDFs, pre-written templates, and a workbook to help you fund your travels. Lisa Ekhall Stentvedt, and the FTB member behind Fjords and Beaches, has grown her Instagram to 34k in just months. After feeling like most of the information out there about growing your Instagram or how to be an influencer was lacking substantial content, she settled down and cracked the code. She offers actionable and practical advice for growing your Instagram account and gaining real followers along with tips on how to become a successful influencer who is paid for their content. Lisa offers two deals that are both on sale for Black Friday weekend. 50% off the Influencer Magic Kit normally $19. The Instagram Magic Course to grow your Instagram account. The Influencer Magic Kit is a kit for anyone aspiring to start making money on Instagram. List of influencer platforms to connect with brands who pay, templates, and a pricing guide. Udemy offers thousands of courses for beginners to advanced bloggers offering learning modules you can do at your own pace in areas such as digital marketing, design, blogging, SEO, writing, photograph and much more. The Black Friday sale from 2017 lasted for 12 days, and we expect to see that again for 2018. I bought 15 courses last year for their Black Friday sale and spent the year working my way through at my own pace. I suggest you stock up for the year until Black Friday comes around again. International reach with students in 190 countries. 25,000 experts and instructors who are available to answer your questions. Slaying Social is a travel blogging resource site run by two full-time travel bloggers, Christina Guan from Happy to Wander and Lia Garcia from Practical Wanderlust. They’re 6-figure earning 6-digit monthly traffic receiving pug-obsessed travel bloggers who are passionate about sharing what we’ve learned in this crazy industry. They create no BS guides that focus on helping you grow your platform to bring you closer towards your goals which challenging the social norm This is all done with a witty and fun delivery that keeps you entertained. Having Trouble implementing that new theme you just bought? Or perhaps you’re ready to take your brand seriously with a new logo and branding package? Handing over these technical tasks to experts is one of the smartest things you can do for your blog. The end result with be a service handled by the professionals so you can continue working on your blog without missing a beat. Lottie Reeves and FTB Admin behind Lottie Reeves offers a wide variety of web development services. If you feel like your blog is basic, boring, or you’re embarrassed to show it off, Lottie can help you save hours of precious time and turn your blog into something you are truly proud of. She’s helped a lot of FTB members and is excited to help you take the next step. Charlotte Karp, an FTB member, offers in-depth consultations to help you take your blog to the next level and give you the leverage to do things on your own. If you’re not sure why you have a high bounce rate, or why readers are spending less time looking at your articles then this 5-week consultation package might be right for you. Need a little vacation or recharge session from all the hard work you’re going to be putting into your blog in 2019? Then check out some of these trips with Black Friday discounts. The MissAdventure, owned by FTB member Paola, has a great trip line up for 2019, including the first-ever MissAdventure Festival in Croatia. Join like-minded women on well-crafted itineraries in some of your favorite destinations, like Croatia, Morocco, and Dubai. Learn about local cultures, eat great food, and most of all enjoy the trip of a lifetime. The MissAventure festival focuses on networking, business traits, and photography – perfect for the digital nomad or travel blogger so you can mix pleasure with work. Join Nicola Lederer, FTB member, on a guided photography tour of Ecuador and/or Galapagos Island. Stop being jealous of all the amazing photos on Instagram and improve your blog with your own amazing photographs. Learn to control your camera instead of having your camera control you. Photography tours are a great way to get practical advice, see the world, and make new friends. These are the perfect addition to any shopping list for the traveler in your life, AKA you. You can steal some deals and get your holiday shopping done early! Diana Fung, FTB member, legit makes the most stylish camera bags, Gatta Bags. These are a hit with Female Travel Bloggers members who rave about them all them all the time in our group. Gatta Bags are chic, practical and best of all they don’t look like camera bags. They are perfect for traveling and make an excellent Christmas gift to your favorite traveler or again, yourself. Solo Trip, a book written by FTB member Annika Ziehen a solo traveler, is for solo travelers and all those who want to become one. Solo Trip shares stories from almost 20 years of traveling the world, practical tips, and advice for those who are looking for inspiration to venture out on their own. This book will make a great Christmas gift for that solo traveler in your life, or someone looking to take the leap. It will also make a great gift to yourself. Treat yourself! Lindsey Davies, FTB member, has a line of travel-themed clothing to help you look stylish on the road. Have a blast selecting custom colors, logos, and styles with a wide selection. You can even get your favorite print on a bag or a coffee mug, making these a great holiday gift. Let Alaine, FTB member and author of In Search of the Best Swedish Chokladbollar: A Southeast Asian falls in Love with Fika, introduce you to her favorite snack through a collection of 30 alternately naughty, healthy and exotic – but always delicious – recipes. Alaine is a global soul and chokladbollar is a constant in her nomadic lifestyle. A recent convert to the Swedish art of fika, Alaine is keen to share the virtues of taking time out of our busy schedules to sit down with friends or on your own with a steaming cup of hot coffee and a chokladboll. This wouldn’t be a Black Friday sale without good ole’ Amazon. They have the best sale, and this year it is supposed to last about 12 days starting the week of Thanksgiving. I suggest saving your money until actual Black Friday when I suspect the deals will be the hottest. We can expect to see deals on luggage, camera equipment and gear, and the latest tech. Read our best 25 gifts for travelers, for the hottest gifts in travel! And don’t miss this guide for all the mom’s who travel. Create those shopping lists and get ready for some serious Amazon savings. Looking for a new laptop, camera or phone, the hottest tech deals will keep you productive all year. Microsoft is having a killer Black Friday discount on their Surface Pro tables and deals on laptops for only $220. This is the perfect time to get yourself a lightweight laptop for traveling so you can keep blogging on your trains, planes, and automobiles. This deal starts Nov 22 at 12am! I could go on an on about how much I LOVE my Pixel 3 for travel. I’ve used a Pixel since they first came out and I will never go back. It’s so easy to use, you get free cloud storage for all the images you take on a pixel and the camera is just out of this world. With built-in video stabilizer and wide-angle portrait mode, this is the perfect phone for bloggers. One of the best parts about being in FTB is receiving member discounts year round. Check out these sweet deals exclusive for FTB members and celebrate Black Friday all year. Lauren Monitz, the FTB member behind the Essential Influencer Handbook, is here to teach aspiring influencers how to turn their social presence into business opportunities. Tired of seeing people write bad captions on poorly taken photos, she spent a year figuring out how to hack the Instagram algorithm and doing a deep dive into what brand partners look for. Now with 195k+ targeted followers across three accounts, she’s worked on over 75 campaigns in 20 states, making over $20,000 directly from influencing marketing her first year in the industry. Year two, she’s making more than her full-time salary. Have you ever seen a sponsored post on Instagram and thought, “I could do that?” Have you seen someone post on behalf of a brand you love and wondered how they got paid for it? Have you seen people traveling the world for free and thought, “Wow, they’re so lucky.” Have you seen an account with tens of thousands of followers and wondered how they got so big when your photos are arguably just as good? The Influencer Institute is here to teach you all that and more. Part Two: Monetization. Pricing guidelines, strategies to find opportunities, get proven sales techniques, tips for managing your business, and learn how to negotiate, trade and upsell. Have you grown out of your old hosting? Is your traffic consistently reaching 100k views a day? Are you ready to seriously monetize with the backing for a boutique hosting plan that supports large blogs and treats you like a real person, rather than just another customer? Then we suggest Performance Foundry, which provides hosting to big names like Hippy in Heels and other successful bloggers. FTB members get a discount and we know the faces behind Performance Foundry personally, and can promise they will take care of our members. WOO this is so fun!! Haha there are some things on here that I didn’t know I needed – such is the way with consumers these days, end up spending more when we think we’re saving haha. Do you know how it works for SiteGround if my current year plan isn’t up yet? Like can I buy a year’s subscription that starts when my next one ends?? I don’t really want to pay for two at the same time but also am not sure that the sale will still be on when mine is up for renewal…. The sale will not still be on when yours is up for renewal and sadly their deals don’t usually apply to existing members. 🙁 They do have a few smaller sales throughout the year. I’ve been waiting for the past three months to invest in Keysearch… I’m SO hopeful that they offer a great deal this year! I’m also shopping for a new, lightweight, travel-friendly laptop (no Macs!) – any recommendations? Microsoft and Google are both supposed to have a black Friday sale this year, along with Amazon. You should be able to get a great deal on a chrome book, or surface pro. You can try searching our group for suggestions, I know this question gets asked a lot. We can’t wait to see your blog win posts in the group! Wow, this is a great list of deals! I’ve been considering Divi and it might be time to look at it a little bit more. It is also a great time to think about 2019 goals. Like the type of skills and tools we need to make 2019 a great year! Thanks for sharing this amazing list! We LOVE Divi. It is definitely worth the investment! This was so helpful! I was able to get some items Iâ€™ve been putting off due to expenses. Nothing like investing in your business for Black Friday instead of buying stuff I donâ€™t need! Thanks for putting this together! We are so glad that you found some great deals in our post! Wow! Such a compressive list, I really appreciate having this all compiled for me: I may have missed out on most of these deals but youâ€™ve provided a great resource to check out services I may need. Thanks! We’re glad you found some great tools to help you in your blogging journey. If you have any questions about any of them, let us know! It looks like Black Friday and Cyber Monday is the perfect time to start a blog, or at least start planning for the new year. There’s always so many blogging deals around this time of year! It absolutely is! You can save so much money if you plan it out well. We’re so glad you saw it too and found some cool new tools to check out.